On April 11th we hosted our most popular webinar ever: The Evolution of the Vertical Hydroponic Container Farm! We explored how the Greenery has reimagined controlled environment agriculture to bring farmers increased yields, customization, and control. Don’t have a full hour? No worries! We went ahead and summarized our conversation in this blog post. We’re going to follow along with the webinar’s structure with an overview of CEA and an introduction to hydroponics, followed by a look at the evolution of the container farm: how we got started, where we’ve been, where we’re going with our new Greenery farm! 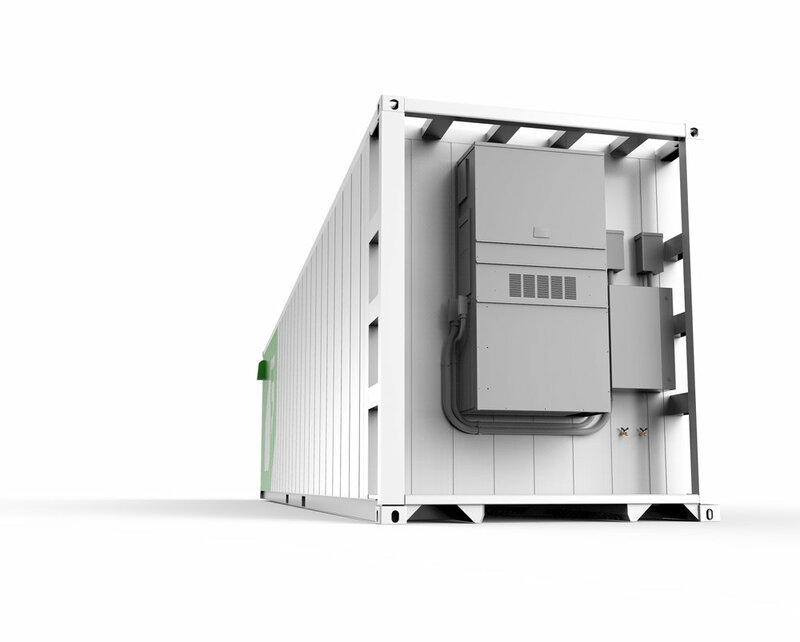 CEA uses an enclosed space (in our case, a container) to bring farmers control over components such as lights, heating, ventilation, AC, pumps, etc. to create the perfect growing environment in any climate, 365 days a year. Hydroponics, specifically, uses nutrient enriched water to replace soil. Here at Freight Farms we use hydroponic techniques because they’re extremely water-efficient and can be adapted to many environments and crop varieties. A vertical drip system: This system pumps water up to the top of the vertical channel, and gravity allows it to drip down that channel so the roots can access it. Any excess water runs out the bottom and is returned in the reservoir where it is recycled. An ebb & flow system: This is a horizontal system where nutrient rich water floods a shallow trough to saturate the plants’ roots, then drains back into the reservoir to be recycled. Read about other systems in Hydroponics 101. The container farm’s story begins in 2009 when Freight Farms co-founders Jon and Brad set out to bring farming into urban centers in an effort to decrease the distance food travels to the people that are eating it. Although they were always certain CEA was the way to do it, their initial focus was in rooftop hydroponic farming. Rooftop hydroponic farming had several pros, such as activating abundant yet unused space, and taking advantage of sunlight. However, they quickly ran into several cons. For one, they were constantly dealing with red tape and difficult zoning boards. There was also too much customization involved: Each new rooftop setup needed to be created with unique specifications, which led to extreme upfront costs. Jon and Brad decided to pursue a method of CEA that was easier to standardize while still allowing people to activate unused space in their cities. That’s when the aha moment happened: What about shipping containers? It was clear from the start that containers could be the perfect modular vessel for the farms. Plus, there was an abundance of decommissioned containers sitting around waiting to be used. The question then was, can you grow in them? In 2012, Jon and Brad got a container and built the first prototype by hand. 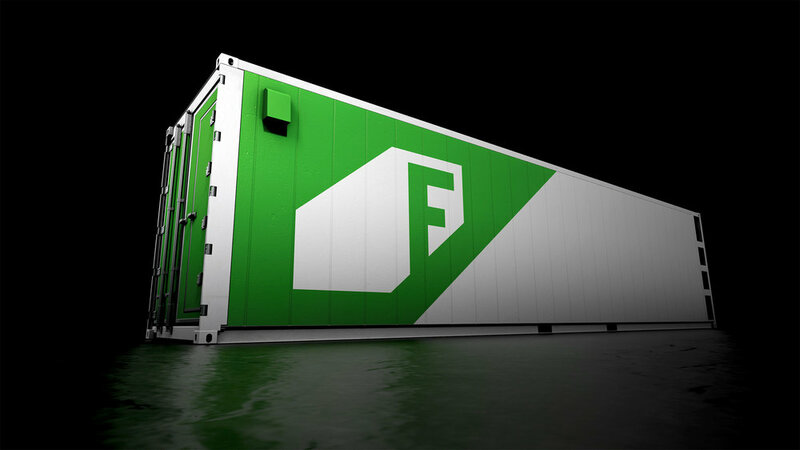 After months of testing and refinement, the world’s first container farm–the Leafy Green Machine–came on the market in 2013. The next five years were spent iterating on the Leafy Green Machine as we learned more and more from our expanding customer base. We made subtle but important changes, resulting in 8 total versions of the Leafy Green Machine. Today, we have 200 farms operating in 39 states and 15 countries. Each has their own unique story, whether it’s a school uses their farms as learning labs, or operating in tandem with a traditional farm to extend their growing season and create revenue year round. All of them are positively impacting their communities 365 days a year. In the past, we sourced used containers and modified them. Now we’re building new containers to our specifications, giving us unmatched control over weather-proofing and R-28 U.S. Department of Energy insulation rating. The R value is the capacity of an insulating material to resist heat flow. The higher the number, the better the insulative properties. This high value lets us operate in all kinds of harsh weather conditions by maintaining the perfect indoor temperatures. The new Greenery design features an in-set rear so that all the components fit within the ‘standard’ 40 ft x 8 ft container boundaries. This makes is as easy to ship as possible. At the back, you can find a 100-amp main breaker to accommodate any additional power draws, and a 36,000 BTU climate control unit with a built in dehumidifier and economizer. The economizer is a simple feature that helps the energy efficiency of the farm. Senses outdoor air and–if it’s below the set temperature in the farm–pulls it in instead of running the A/C (therefore conserving energy). What’s the maximum temperatures that the Greenery can withstand? DB: We haven’t seen anything yet that it can’t withstand! We have our previous generation farms operating in 120ºF in Dubai and various negative temperatures in places like Halifax, Colorado, Alaska…and that’s just with the Leafy Green Machine’s R-16 insulation. How can you protect and secure the Greenery in aversive weather conditions, like hurricanes? DB: The good thing about shipping containers is that we’re very familiar with them–we know how to secure them down, be it on a ship, on a truck, or on the ground. There is lots of standardized equipment available to lock the container in place as long as you put it on the right foundation. Plus, they weigh a lot–each container is about 8 tons–so they’re not typically going anywhere. The seedling area features a seedling station that doubles as a worktable. Mounted on the wall above it are dosers and reservoirs that monitor the seedling tank and the main tanks with smart, IoT connected sensors that tell the dosers to pull nutrient and pH solutions from their respective reservoirs to maintain the right water nutrient conditions. The seedling tank is arranged vertically on the right side of the station to make it easy to access and clean. The seedling table itself is built of food-grade stainless steel and consists of two independently controlled ebb and flow troughs that, combined, hold up to 4,608 plant sites. The troughs were built independently so you can use one for seedlings and one for microgreens, or not use it at all, in which case you don’t end up wasting energy or water. There is a lot of moisture inside these containers… is there any risk of rusting? DB: We have chosen specific materials–stainless steel and aluminum–that don’t oxidize the same way as regular steel to avoid rust in the farm. DB: Hydroponics in general is a super a water-efficient system. Compared to traditional agriculture we’re using about 95% less water. On a daily basis, you’re using 5-10 gallons. But, when the weather is hot and humid, we’re able to actually generate water. So, yes, the system is built to save and reuse water. Is the seedling tank easy to move? DB: The reason we put the tank where it is and made it vertical is so you don’t have to move it. We have all the hookups on the side of the tank along with an app-connected water level sensor. The lid is very accessible if you do have to get in there to clean it… the idea is that you don’t have to move it to perform any of your regular farming activities. The main growing area in the farm is where you can see the most innovative design improvements in the Greenery. Below we’ll first explain the features themselves, and then we’ll dive into the thought process behind the changes. For one, individual hanging string lights have been replaced with 112 Freight-Farms-developed LED arrays that line the walls and hang between the growing rows and emit directional red and blue light onto the plants. Our legacy 256 crop columns have been replaced with 88 plant panels that are designed to adapt to multiple crop types and maximize growing space. Combined, the panels have 7,480 potential growing sites. Finally, both the LED arrays and the plant panels hang on a sliding rack system that allows you to configure the farms layout to best suit your harvesting and maintenance workflow. Do you only use red and blue lights? DB: Yes–This is a big debate in the hydroponic and general indoor ag world but we’ve done extensive research and...had great success with the 5:1 red-to-blue ratio lights. In the Greenery, you also have the opportunity to isolate the red and blue lights to create different light environments for different crops. Can you remove the plant panels to clean them, and how does the hanging/removing process work? DB: Yes, they are removable. And, to make them easier to hang, they include ribbing on the back that acts as a haptic feedback guide for when you go to hook them onto the racks. How do you protect plants while you’re moving the rows? DB: There are a few ways to do that. First is to come up with a compatible planting schedule where you have seedlings and mature plants on opposite walls of the farm so you have space to shift the rows. Then, there’s also spacers built into the racks themselves to maintain a minimum distance that protects most standard sized plants. We upgraded to the plant panel to take advantage of unused space that was going to waste with the individual crop columns. This way, we’ve reduced the number of growing fixtures while drastically increasing the amount of food you can grow. By planting in channels 1, 3, and 5 (option 1), you’re able to mimic the same row cropping techniques used with the crop columns. This is a great option for large head plants, like lettuce, Swiss chard, and kale. From there, you can also activate channels 2, 4 (option 2) for mixing in small crops, like turnips or radishes, between the larger ones growing in channels 1,3, and 5. A different planting method involves using all five channels for one plant. This is called linear cropping, and it is very effective for smaller greens and herbs and allows you take advantage of the entire panel. Our new rigid LED board is specifically designed to create a powerful and uniform lighting environment to accelerate the rate of photosynthesis, the result of which are heavier, fuller, and richer plants. To understand the value of the new LEDs, we first need to understand PPFD! PPFD (Photosynthetic Photon Flux Density… say that five times fast) measures the amount of light energy that reaches the canopy. It’s important to understand that it refers to the amount of photons in the visible light spectrum that flow over a square meter in one second. That means that this value does not measure the power of the light fixture itself, but the amount of light that actually reaches the intended surface (in this case, your plants). For that reason, PPFD measurements always need to be paired with a distance measurement. So, the Greenery’s lights generate 200 PPFD at a distance of 18 inches from the canopy, compared to the LGM, which generate 100 PPFD at 9 inches. This means that the Greenery has double the PPFD at double the distance! This graph shows that increasing the PPFD in this way results in more than double the rate of photosynthesis. Doubling the PPFD results in more than double the rate of photosynthesis. We specifically identified 200 PPFD as our preferred light intensity for the Greenery because, as you can see on the graph, anything over 200 PPFD results in a plateau in the rate of photosynthesis. What we wanted to avoid was putting unnecessary energy into our lights that would not be directly translated into a dramatic difference in growth. The moving racks allow you to transform the space based on your needs. This can mean growing exciting new crops that require more space to grow. By moving the grow rows and center LED fixture you have the flexibility to organize the space for any crop type. Position 2 - Inner plants receive more intense light, outer plants have more room. Position 3 - Inner plants have more room, outer plants receive more intense light. You can space it evenly to allow small to medium crops or move them to any other position to allow for a combination of crop types and sizes (as seen in positions 2 and 3). Mobile rows also lets you create walkways where you need them. This lets you harvest, transplants, and maintain directly in the rows. For more details about the Greenery, Freight Farms, and our entire 30 minute live Q&A session, check out the complete webinar recording. You can also view more webinars in our portal! Want information relating to a specific project? Contact our team!